President Obama may appoint another Republican, Sen. Judd Gregg, to a cabinet position in his administration. An open Senate seat in a state (New Hampshire) controlled by a Democratic governor could tilt the Senator more to the president's favor. President Barack Obama appeared Saturday to be leaning toward appointing a third Republican to his Cabinet, a move that would place the fiscally conservative Sen. Judd Gregg at the head of the Commerce Department even though a liberal Democrat was initially tapped for the post. The appointment of the New Hampshire Republican — his family has close ties to the family of former President George W. Bush — also could bring the Senate closer to the 60-vote majority Democrats need to thwart Republicans seeking to filibuster legislation. However, there was no guarantee that New Hampshire's independent-minded governor would replace Gregg with a Democrat. Republicans privately hoped Gregg would negotiate a deal that would allow the GOP keep the seat. Some suggested party elders Warren Rudman or Walter Peterson while others pointed to Doug Scamman, a former speaker of the New Hampshire House and one of Gov. John Lynch's Republican allies. Gregg is the leading candidate to become commerce secretary, an Obama administration official said Saturday. A decision could come as soon as Monday, according to the official, who spoke on condition of anonymity because the official wasn't authorized to discuss administration deliberations. Gregg's spokeswoman had no comment Saturday. The senator acknowledged Friday that he was being considered to lead the Commerce Department, though Republicans were urging him to think carefully about what changing jobs would mean to the GOP. Obama's Cabinet already has two Republicans: Defense Secretary Robert Gates, who was appointed by President George W. Bush and then asked by Obama to remain; and former Rep. Ray LaHood of Illinois, who did not seek re-election to the House in 2008 and soon after was named transportation secretary. Gregg, who devised the $700 billion banking bailout package last year, would be a strong ambassador to the business community. He would also have huge sway over the 2010 Census that lawmakers will use to redraw congressional districts to reflect states' populations and determine their electoral votes in future presidential contests. If Gregg were nominated, it would be a switch politically from Obama's first choice, New Mexico Gov. Bill Richardson. An Obama rival during the 2008 presidential campaign and a traditional party liberal, Richardson bowed out shortly after he was nominated when a grand jury investigation over how state contracts were issued to political donors threatened to cloud his confirmation hearings. Gregg comes from a member of a New Hampshire political family. His late father, Hugh Gregg, was governor of the state and allied politically with the elder Bush as he sought the presidency in 1980. 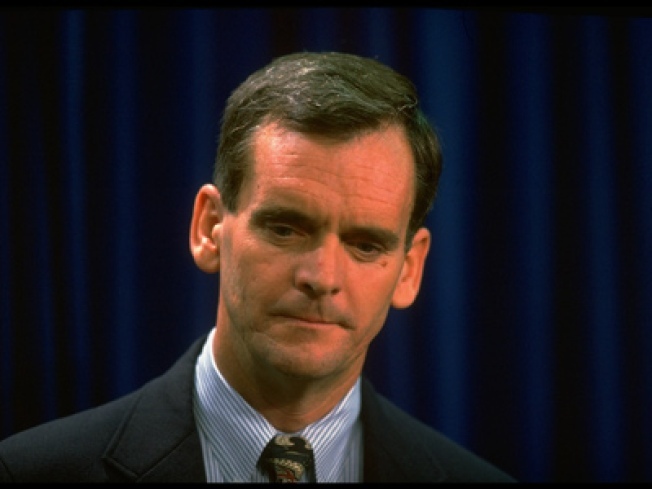 Judd Gregg was an early backer of George W. Bush's presidential bid and later played an important role in passing Bush's school legislation, the No Child Left Behind Act. A policy wonk, Gregg rose through the Senate ranks to serve as chairman of the powerful Budget Committee and the Appropriations subcommittee that funds homeland security. Now in the minority, he is the ranking Republican member on the Budget Committee but still has large sway in the GOP's response to Obama's legislative agenda. Democrats hold a 56-41 majority in the 100-member Senate and two independents caucus with them. The Senate seat from Minnesota remains undecided, with Sen. Norm Coleman and challenger Al Franken in a close, court-based contest. Yet Lynch, a political moderate, could easily appoint a Republican to replace Gregg, senior Democrats have told supporters in private conversation. Democrats fret that Lynch is likely to appoint a "placeholder" senator who would not seek the office in 2010, thus spoiling a chance for legislative dominance by the Democrats for the next two years. During the state's first-in-the-nation presidential primary, Lynch attended an event for Republican John McCain and had kind words for the popular-in-New Hampshire figure. He also named GOP star Kelly Ayotte his attorney general as part of a centrist governing style that has given him a careful coalition, although many doubt he would seek a fourth term or higher office himself. Gregg, meanwhile, faces a tough re-election in 2010. His state has shifted toward Democrats in recent years and his role in the banking rescue plan would complicate a re-election bid in the "Live Free or Die" state the proudly rebukes government spending and has no general income tax. In 2000, Gregg said he didn't expect to be offered a Cabinet post in the Bush administration because a Democratic governor, Jeanne Shaheen, would pick his replacement and thus cost the Republicans their majority in the Senate.